Lynne Cox has set open water swimming records across the world, and now she has focused her decades-long experience and expertise into this definitive guide to swimming. Cox methodically addresses what is needed to succeed at and enjoy open water swimming, including choosing the right bathing suit and sunscreen; surviving in dangerous weather conditions, currents, and waves; confronting various marine organisms; treating ailments, such as being stung or bitten, and much more. Cox calls upon Navy SEAL training materials and instructors' knowledge of open water swimming and safety procedures to guide her research. In addition, first-hand anecdotes from SEAL specialists and stories of Cox's own experiences serve as both warnings and proper practices to adopt. Open Water Swimming Manual provides a wealth of knowledge for all swimmers, from seasoned triathletes and expert swimmers to beginners exploring open water swimming for the first time. It is, as well, the first manual of its kind to make use of oceanography, marine biology, and to weave in stories about the successes and failures of other athletes, giving us a deeper, broader understanding of this exhilarating and fast growing sport. You Want to Swim the English Channel? "A paean to outdoor immersion. . . . [Cox] has channeled her vast expertise on the dangers, joys and logistics of open water swimming into a new book aimed at the exploding ranks of triathletes and other swimmers who are escaping the safe confines of pools. . . . The publication could hardly be better timed. A steep rise in the popularity of triathlons has been swelling the ranks of open water events. . . . [Cox] tempers vision and enthusiasm with methodical, unstinting effort." --Andrea Kannapell, The New York Times "Lynne Cox's books are the works of a singular mind. That was true for the best sellers Swimming to Antarctica and Grayson, and it is true for her new book, Open Water Swimming Manual, a 300-page paperback instructional that is the most unlikely page-turner you could put on your summer reading list. She's written a sort of fantasy in which you, the reader, are the protagonist. You can't swim half a mile? Cox will put you on a program to swim 10! . . . Cox's Open Water Swimming Manual could do for long-distance swimming what Jim Fixx's The Complete Book of Running did for the American jogging movement in 1977." 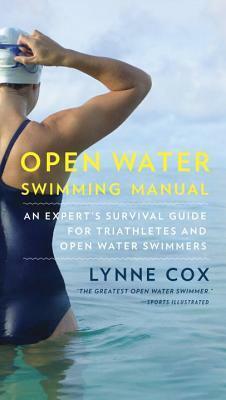 --Sports Illustrated "Lynne Cox is an artist of the open water. No one knows more about swimming's beauty and skill than this great champion, or could describe it with such clarity and grace. Every sport--every art--should have a book like this and a guide like Lynne Cox."